This week, Android celebrates its fifth birthday, (or fourth depending on whether you count from its announcement date or launch), and it’s clearly an overachiever for its age. The original announcement of the Android platform came 5 years ago on Monday the 5th November and the past half-decade has seen the open source software move from strength to strength. 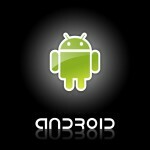 In its third year, Android became the leading platform in 2010, and now, a survey from IDC has revealed that it had a 75% market share during the third quarter of 2012. So who else is in the race? iOS is in distant second place, and it is the only other platform to even retain a double figure market share for the last corner. But bad news for Symbian – Nokia’s Symbian platform, notable the previous market leader before Android’s rise to ascendancy, which is now showing the biggest year on year decline and is scheduled to be phased out in new phones by 2013. And the once ever so popular Blackberry, despite an uneasy couple of years, is still holding in there, primarily because it’s got a 4% market share and represents some very lucrative sectors of the market. So is Android set to become the undisputed smartphone champion? Or will Apple’s new Kindle devices see a resurgence in their market share?